Enrico’s is a Keurbooms institute but from an outsiders point of view it looks like sheer madness. Families stand and queue an hour before the restaurant even opens for dinner service, SA celebrities get sent to queue being told by Enrico that all his customers are VIP and deserve the same service and booking is not an option. After two attempts at going for dinner- but being frightened away by the hour and a half long wait we decided to give lunch a try. We arrived half an hour before lunch started and fortunately only had to queue for forty minutes! Once we got in, our party of 6 were quickly seated and left to peruse the menu. Enrico’s is really busy- and credit must be given to the staff who make it run like clockwork. Sadly the weather was on the miserable side of things so we were seated inside – but it was plenty cosy and warm and happy. 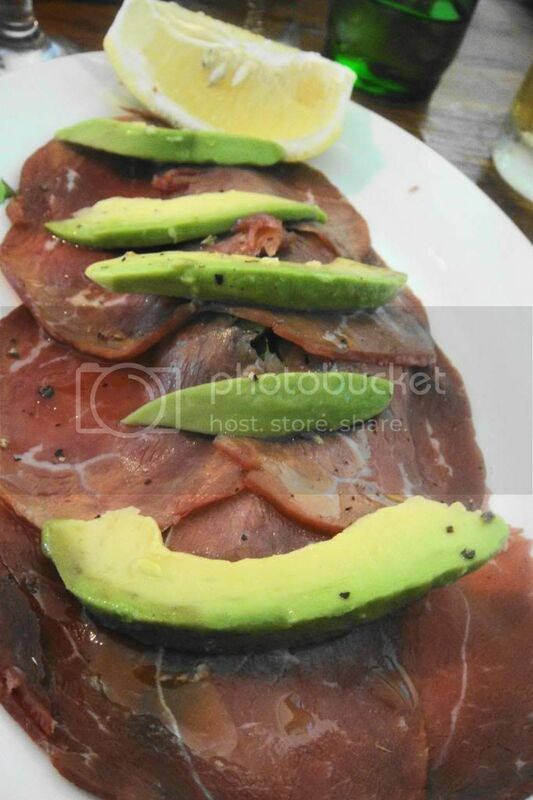 We shared a few starters with one of them being these lovely thin slices of kudu topped with avocado, black pepper, lemon and olive oil. Was lovely with lots of earth flavours. 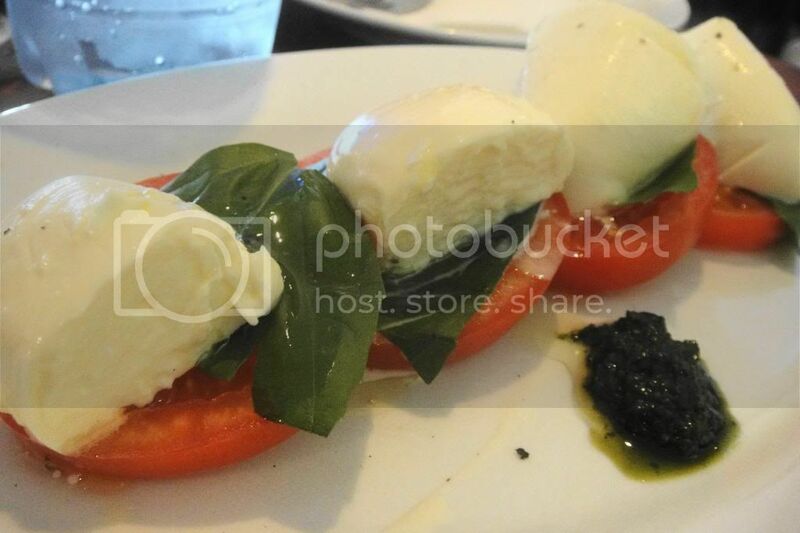 The Caprese salad is my favourite with the sweet fresh tomatoes, huge chunks of fresh buffalo mozzarella and basil pesto- all delicious flavours in one bite! yum! Enrico is famous in our group of 6 for their Bomba which we have countless times attempted to replicate in the pizza oven- we have of late seem to have cottoned on to the trick. This wonderful focaccia has been made by Enrico for 28years and is best dipped in lots of olive oil and covered with salt. 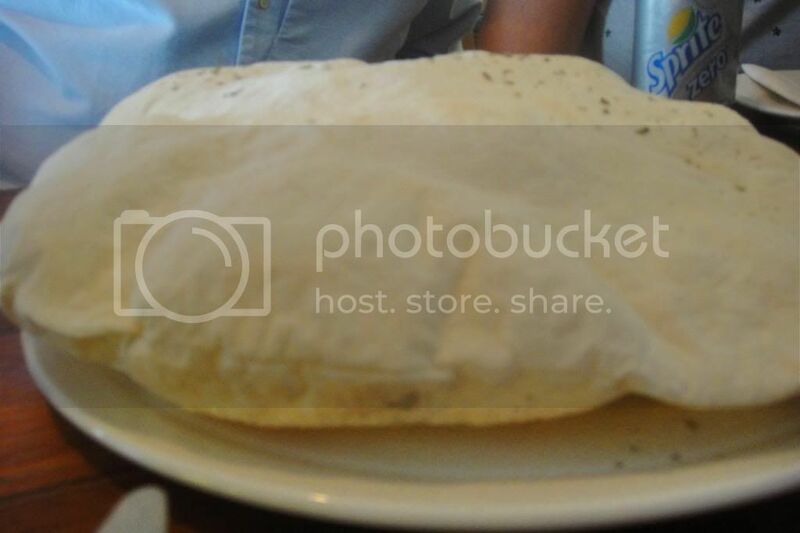 Light, full of flavour and gets you in the mood for their pizzas. This is a farcita with bacon and avo. I had never heard of a farcita before but it appears to be something unique to Enrico himself. It is two very thinned layered pizza filled with the toppings of your choice. I’m not sure about choosing this over a normal pizza- you get much more crust with a farcita that a normal pizza. So it tastes great, has wonderful ingredients but sadly comes 2nd to a normal pizza. This for me was the star of the day- the penne pollo. This is strips of chicken breast, plenty of cream and mushrooms with some perfectly cooked penne. This was amazingly creamy and buttery and so incredibly indulgent. The chicken was so unbelievable tender and the mushrooms were perfect. This really was one of the better pastas I have ever had. After my amazing, sent from the heavens penne pollo- my dessert broke my heart. I ordered the tiramisu and it was completely inedible. It tasted like sour milk and much to much alcohol. I have never before had such terribly tiramisu and I can only assume that it was off! Friends who had eaten there before said that it didn’t taste like the tiramisu of their previous encounters- so hopefully mine was just some bad cream and that his recipe is not awful. The Italian kisses were a real crowd pleasure- and helped me forget about the terrible tiramisu. So- Enricos is good- the pasta was phenomenal, the farcita was light, our starters were delicious and the calamari also received rave reviews from fellow dinners. Would I queue one and a half hours for a table- absolutely not! But there are very few restaurants I would even consider waiting that long for!